The Turkish Armed Forces (TAF) and the Turkish-backed Free Syrian Army (TFSA) captured 7 members of the Kurdish People’s Protection Units (YPG) during clashes in the Afrin area, according to Turkish media. In turn, the YPG claimed that it had captured 16 Turkish service members. However, these persons are likely just members of the TFSA. The YPG also said that it has lost 18 members in the clashes so far while the TAF claims that over 300 YPG members have been killed. The both sides provide contradicting reports about the casualties and the situation in the Afrin area. The propaganda is an important part of the Turkish-Kurdish standoff in Afrin. According to Deputy Chief of General Staff of the TFSA Haitham Afeisi, a 10,000-strong force is already prepared for a military operation against Kurdish forces in the city of Manbij. Afeisi said that the Manbij operation will be started after the TFSA and the TAF finish their operation against YPG/YPJ forces in Afrin. “Manbij is not the final destination; we won’t stop until Hasakah, Ayn Issa, Ayn al-Arab, Ras al-Ayn, Al-Malikiyah, and Tal Abyad are purged of terror,” he said. This statement clearly follows the official rhetoric of the Turkish leadership. President Erdogan and others have repeatedly noted that Manbij may become a target of the Turkish military operation. 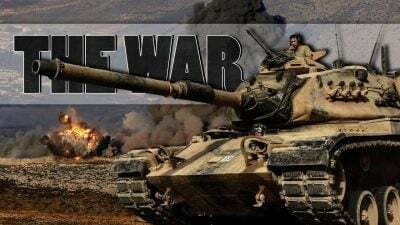 The Democratic Federation of Northern Syria in Afrin area released an official statement in which it called on the SAA to counter the TAF attack on Afrin and to defend the Syrian border. The statement clearly contradicts previous statements of Kurdish officials and may indicate some shift in the YPG attitude towards the Damascus government.